Register for an Evite account today! We've made it easier than ever to keep track of all your events. 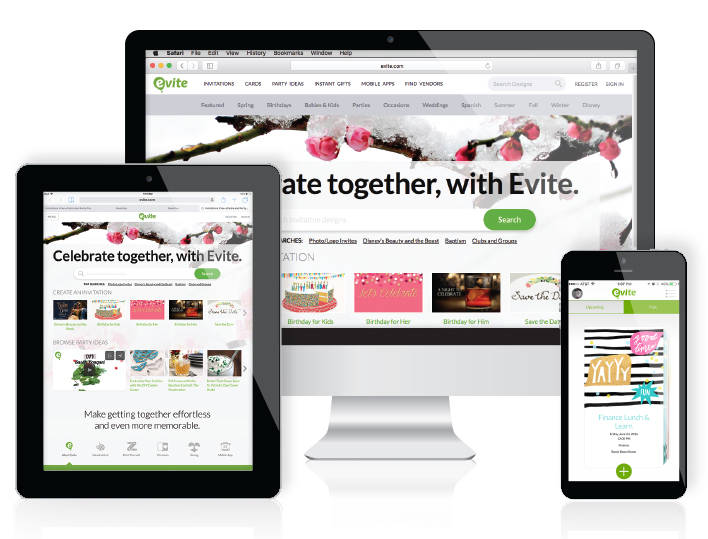 Get access to thousands of invitations, and use Evite to facilitate your upcoming events. Switch between devices, and pick up wherever you left off. Evite will store your events for a lifetime. You will always have access to all of your past events. 6 character minimum. Case sensitive.